A small selection of thermocouple cables are available to buy online. We are able to source many varieties of cable for use in our own thermocouples or for resale. 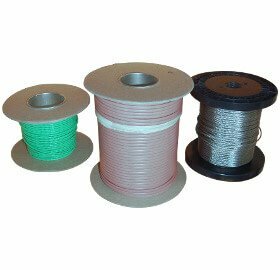 All our cable is EU sourced and sold in 100M reels unless otherwise stated. Contact us for any special requirements. We are able to source many varieties of resistance thermometer cable, if you can’t find what you need online, please contact us. All the cable we sell is EU sourced and sold in 100M reels unless otherwise stated.